Australian Mining’s top five stories of the past week included Fortescue’s contract awards in the Pilbara, Rio Tinto declaring force majeure on its shipments, Fortescue’s approval for Iron Bridge’s stage two expansion, and more. 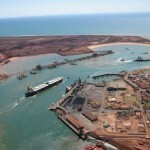 Fortescue Metals Group has awarded a major component overhaul and replacement services (MCORS) contract to three contractors based in Port Hedland in Western Australia. Fortescue Metals Group subsidiary FMG Magnetite and joint venture partner Formosa Steel have approved the development of the stage two Iron Bridge magnetite project in the Pilbara, Western Australia. Fortescue Metals Group is set to commence an autonomous light vehicle trial at its Christmas Creek iron ore mine in the Pilbara, Western Australia. Several Tier 1 mining contracts have helped push engineering contractor Decmil into profitability in its first-half report for 2019. An autonomous truck at Fortescue’s Christmas Creek iron mine in the Pilbara has reversed into another stationary truck, the company confirmed on Friday. Fortescue Metals Group has now officially awarded NRW Holdings an ambitious rail project contract first announced at the end of last year. Australian iron ore majors such as Fortescue, BHP and Rio Tinto have all seen a significant boost to their share prices while Brazilian company Vale’s has dropped significantly. Ewen Hosie talks with mining experts and film critics to discuss how the industry can change its negative perception at the movies. NRW has been selected by Fortescue Metals Group as its preferred contractor at the Eliwana rail project in the Pilbara in Western Australia. Fortescue Metal Group’s Solomon Hub iron ore operation in the Pilbara has been affected by a large bushfire over the past week. 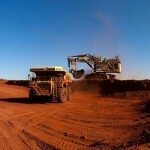 BHP has completed a $US5.2 billion ($7.3 billion) buyback of company shares for distribution to shareholders. Fortescue Metals Group is preparing to meet changing Chinese demand for iron ore with its new West Pilbara Fines product.